News: Henrique recorded 18 goals and 42 points over 82 games in the 2018-19 season. Impact: Henrique posted 50 points between the Ducks and Devils last season, but his regression doesn't look as bad considering the Ducks struggled as a whole. The 29-year-old also posted a career-high eight power-play goals. Henrique could face competition for a top-six center role from promising youngster Sam Steel in training camp next season. News: Rakell registered 18 goals and 43 points in the 2018-19 season. Impact: Rakell was viewed as a promising goal scorer after eclipsing the 30-goal mark in back-to-back seasons. The 25-year-old's game fell off badly this season, though. A big part of the free fall was his struggles at even strength, as his point total dropped from 69 last season to 43 this campaign, but his man-advantage total fell just six points. News: Getzlaf compiled 14 goals, 48 points and a minus-19 rating over 67 games in the 2018-19 season. Impact: The Ducks were in the gutter when it came to offense, and Getzlaf was a big part of that. This was the first time since the 2012-13 lockout that he didn't surpass 60 points, and it was his lowest point total since his rookie season when he posted 39 points in 57 contests. Getzlaf will need better assets around him moving forward to avoid another regression. News: The Ducks reassigned Steel to AHL San Diego on Saturday, Elliott Teaford of The Orange County Register reports. Impact: The Ducks' season is over, so Steel will head back down to the minors for a playoff run. He ended his season with the Ducks on a high note, racking up five goals and eight points in the final seven games. Fantasy owners shouldn't forget his name, as Steel should be a lineup fixture with the big club next season. News: Rakell delivered an assist and three shots in Friday's 5-2 win over the Kings. Impact: Rakell ended the year at 43 points in 69 games, his lowest output since 2015-16. He also had 194 shots, and 13 of his points came with a man advantage. Fantasy owners expecting a repeat of his 69-point campaign from a year ago were disappointed, but he maintained some viability in fantasy formats. News: Grant dished a helper and added three shots in Friday's 5-2 win over the Kings. Impact: Grant produced 14 points in 56 appearances this season between the Penguins and the Ducks. He has already played for six teams in seven years, maxing out at 24 points in 66 games with the Ducks last year. However, he did have a career-high 92 hits this year. News: Shore registered an assist in Friday's 5-2 win over the Kings. Impact: Shore ends the year with 12 points in 34 games for the Ducks, and 29 points in 76 games overall when factoring in his work with the Stars. Shore had five of his points on the power play and dished a career-high 94 hits in the campaign. News: Steel potted a shorthanded tally in Friday's 5-2 win over the Kings. Impact: It's the first shorthanded point of the 21-year-old center's career. Steel finished the season with six goals and 11 points in 22 games. The first-round pick from 2016 will likely challenge for a full-time roster spot in training camp next season. News: Grant generated an assist in Wednesday's 3-1 win over the Flames. Impact: The fourth-line center has accumulated 13 points in 55 contests between the Ducks and Penguins this season. He's also notched 90 hits and 71 shots on goal, but on the whole Grant has not done enough to attract fantasy attention. News: Rakell recorded an assist, four shots and two hits in Wednesday's 3-1 win over the Flames. Impact: Rakell is up to 42 points (18 goals, 24 helpers) in 68 games this season, as well as 191 shots on goal. Over his last 10 appearances, he has seven goals and four assists, storming out of a slump that saw him post just six points in 21 games in the first two months of 2019. News: Getzlaf (upper body) scored his 14th goal of the season in Wednesday's 3-1 win over the Flames. Impact: The goal gives Getzlaf 48 points in 66 games this season, along with 149 hits and 131 shots on goal. Getzlaf missed four contests with the injury but has recorded three tallies and six helpers over his last nine appearances in a strong ending to the year. News: Steel tallied a goal on two shots in Wednesday's 3-1 win over the Flames. Impact: The center is up to five goals and five assists over 21 games this season, with four of the tallies and two of the helpers coming in his last five appearances. A first-round pick from 2016, Steel may be worth a stash in deeper dynasty formats. News: Getzlaf (upper body) will rejoin the lineup Wednesday against the Flames. Impact: After four games on the sidelines and with a visit to the doctor in the books, it appears the veteran has been cleared to rejoin the action following some muscle spasms. Getzlaf slotted in on the second line alongside Nick Ritchie and Daniel Sprong during practice Tuesday, so look for him to slot in there versus a Flames squad that will be without much of its usual defensive corps for rest purposes ahead of the playoffs. News: Anaheim reassigned De Leo to AHL San Diego on Tuesday, Elliott Teaford of The Orange County Register reports. Impact: The Ducks aren't competing for a spot in the playoffs, so there's no reason for them to keep youngsters like De Leo around for the final two games of the season. The 2014 fourth-round pick will return to a prominent role with San Diego, where he's racked up 51 points in 61 games this campaign. News: Carrick was re-assigned to AHL San Diego on Monday. Impact: Carrick has one assist in six games with Anaheim this season. Daniel Sprong will likely take his spot in the lineup, though Nick Ritchie (upper body) is also nearing a return. News: Rakell posted a hat trick with six shots on goal in a 5-1 victory against the Oilers on Saturday. Impact: The 25-year-old didn't score Friday, snapping a modest three-game goal streak, but he got right back in the goal column in a big way Saturday. He has seven goals and eight points in the last five games. For some, this is going to be too little, too late because Rakell was sitting on just 10 goals a week ago after posting 30-goal campaigns in each of the last two seasons. But if he continues this hot streak into next week, Rakell can record his fourth straight 20-goal season. He has 18 goals and 41 points with a minus-15 rating in 67 games during 2018-19. News: Carrick has been recalled by Anaheim ahead of Saturday's matchup with Edmonton, Elliott Teaford of the OC Register reports. Impact: Carrick and fellow center Chase De Leo will be joining the Ducks for this road contest. At least one of them will likely be in the lineup against the Oilers. News: De Leo has been recalled by Anaheim ahead of Saturday's matchup with Edmonton, Elliott Teaford of the OC Register reports. Impact: The Ducks are out of playoff contention and likely want to get a close-up look at some of their more interesting prospects down the stretch. De Leo -- a fourth-round pick in 2014 -- fits that description. News: Getzlaf (upper body) is visiting a doctor in Los Angeles to figure out why he's having muscle spasms, Lisa Dillman of The Athletic reports. Impact: The fact that Getzlaf isn't even in Canada with the team likely rules him out as an option for both Friday and Saturday's contests. With only four games total remaining in the campaign and the Ducks well out of playoff contention, it wouldn't be too surprising if the coaching staff ultimately opts to shut him down for the remainder of the season. News: Henrique supplied a power-play assist and two shots in Tuesday's 5-4 win over the Canucks. Impact: Henrique now has points in three straight and five of his last six games. For the year, he's posted 41 points in 78 games, the sixth straight campaign he's reached that mark. The all-situations center remains a solid depth option in many fantasy formats, seemingly unaffected by the struggles of the team around him. News: Rakell scored a power-play goal for the third straight game in Tuesday's 5-4 win over the Canucks. Impact: Rakell added five shots, two hits and two blocked shots in the contest. For the season, he has 15 goals and 38 points in 65 contests, with 13 of those points coming with the man advantage. He's posted 12 points over 14 games in March. News: Steel summoned hats with three goals in Tuesday's 5-4 win over the Canucks. Impact: Steel entered the night with one tally in his career, but quickly changed that with the three lamp lighters. Steel finished his hat trick on a penalty shot late in the second period to give the Ducks a 3-2 lead. He's still at a modest eight points in 18 games, having shuffled between Anaheim and AHL San Diego throughout the year. The first-round pick from 2016 could be a name to watch in the next couple of years. News: Getzlaf (upper body) won't play Tuesday against the Canucks, Jeff Paterson of TSN 1040 reports. Impact: Getzlaf will sit for a second straight game, making life even easier for Canucks netminder Jacob Markstrom against what has been the league's least effective offense even with Getzlaf in there. The veteran center will hope to rejoin his teammates on the ice Friday in Calgary. News: Grant picked up a shorthanded assist in Saturday's 4-3 shootout loss to the Kings. Impact: The helper on Carter Rowney's go-ahead goal in the third period gives Grant 12 points (four goals, eight assists) in 51 games between the Ducks and Penguins this season. Grant also added four hits in the contest, giving him 85 on the season, which is a personal best for the fourth-line center. News: Rakell scored a power-play goal on two shots in Saturday's 4-3 shootout loss to the Kings. Impact: It's not the three-point night he had Friday versus the Sharks, but it gives Rakell 11 points in 13 March games. For the season, Rakell has 14 goals and 23 helpers over 64 games, although that comes with an unsightly minus-16 rating. His hot final month of the season gives Rakell a chance for 40 points for a fourth straight year if he can keep up the pace. News: Getzlaf has an upper-body injury and won't play in Saturday's game versus the Kings. Impact: Getzlaf was just starting to heat up with eight points over the last seven games, but now he'll be sidelined again. He's already missed 11 games due to injury this season. Sam Steel, who was recalled Saturday, will fill in at center. News: The Ducks recalled Steel from AHL San Diego on Saturday. Impact: Steel has spent the last two weeks in the minors but he'll come back up for Saturday's game versus the Ducks. It won't be clear if he's in the lineup until warmups commence at 10:00 p.m. ET. Fantasy owners may want to give Steel a look in daily leagues since he's expected to center the Ducks' top line if he suits up in Saturday's contest. News: Getzlaf finished Friday's 4-3 overtime win against San Jose with an assist. Impact: Anaheim's captain is up to 47 points after his assist Friday. Getzlaf has been effective of late, notching two goals and six assists in his past seven games, but he's on pace to post the worst plus-minus of his career in 2018-19. It currently stands at minus-20. News: Henrique scored a power-play goal in Friday's 4-3 overtime win against San Jose. Impact: The goal, apart from being Henrique's 18th of the season, was also his team-leading eighth power-play marker of 2018-19. The 29-year-old has found the scoresheet in three of his team's last four games. News: Rakell finished with two goals and an assist in Friday's 4-3 overtime win versus the Sharks. Impact: Before Friday, Rakell had gone 35 games without a multi-point outing. His 12th goal of the campaign opened the scoring, and he would add another marker -- this one coming on the power play -- late in the final period. Finally, Rakell's third point of the night came in overtime, with the 25-year-old drawing the primary assist on Jakob Silfverberg's game-winner. The three-point night gives him 36 in 63 games this season. News: Getzlaf posted a goal and two assists -- including one on the power play -- four shots, four PIM, three hits, two blocks and a plus-2 rating in a 5-3 victory against the Avalanche on Friday night. Impact: The Ducks captain has been close to a point-per-game guy for a good portion of his career, but his offensive production has fallen off the cliff this season. For the most part, he's still getting a good amount of pucks to the net, but coming into Friday, his shooting percentage was 9.6 percent. His shooting percentage was at 9.4 percent last season. It rose Friday after his two scores, but if it falls below 10.0 percent in 2018-19, this will be the first time Getzlaf will have back-to-back seasons shooting percentages under 10 percent. Overall, he has 14 goals and 44 points with a minus-20 rating in 62 games this season. News: Kesler (hip) is facing the prospect of missing the remainder of the 2018-19 campaign, Elliott Teaford of The Orange County Register reports. Interim head coach Bob Murray told reporters, "I don't know if we're going to see him again this year." Impact: Kesler currently isn't skating due to his lingering hip issue and, with just 10 games remaining, is running out of time to return. Add in the fact that the Ducks are all but eliminated from playoff contention and there is little reason to rush the veteran back into the lineup. Instead, the team seems poised to shut the veteran down for the year and let him focus on preparing for the 2019-20 campaign. News: Kesler (hip) didn't make the trip to Colorado for Friday's game against the Avalanche, NHL.com's Rick Sadowski reports. Impact: The Ducks have yet to release any details regarding a potential timeline for Kesler's return to action, but he's only totaled eight points while posting an ugly minus-19 rating in 60 games this campaign, so there's no reason for fantasy owners to keep tabs on his status anyway. Another update on the veteran pivot should surface once he's cleared to return to practice. News: Shore had one assist and four hits in Thursday's 6-1 loss to the Coyotes. Impact: Over his last seven games, he has two goals, two assists and 14 hits. He's collected 26 points (eight goals, 18 helpers) in 66 appearances between the Ducks and the Stars this year. Shore could be a decent depth addition in some formats, but playing for the last-ranked offense of the Ducks is not doing his point production any favors. News: Kesler (hip) is not in the lineup for Thursday's road game in Arizona, Elliott Teaford of The Orange County Register reports. Impact: Kesler will miss his fourth straight game and all signs point to the veteran not playing again this season, though the team has not yet made such an announcement. His next chance to play is right around the corner, Friday in Colorado. News: Steel scored the game-winning goal in overtime and added three assists in AHL San Diego's 5-4 win over Bakersfield on Wednesday. Impact: Steel, who has been on the Anaheim-to-San Diego shuttle for the better part of a month, is now tied for 11th in AHL rookie scoring with 38 points in 48 games for the Gulls. While his production at the NHL level has been minimal (four points in 16 contests), Steel is ready to help the Ducks on a full-time basis. Expect him to crack the Anaheim roster out of training camp this coming fall. News: Rakell provided an assist in Tuesday's 3-2 win over the Predators. Impact: It's the fourth time in five full seasons the winger has dished out 20 or more helpers. Rakell has 31 points and a minus-18 rating in 58 games this season, which has him on pace for his worst year since 2014-15. News: Getzlaf scored a goal on his only shot in Tuesday's 3-2 win over the Predators. Impact: Getzlaf is up to 12 goals and 41 points in 60 games this year. He also went plus-2 in the contest. It's likely that Getzlaf will fail to reach 60 points for the first time since the lockout-shortened 2012-13 campaign. His 135 hits and 124 shots on goal help offset the decline in production in some formats, at least. News: Kesler (hip) will sit out of Tuesday's game versus the Predators, Eric Stephens of The Athletic reports. Impact: This will mark the third straight game Kesler misses. His offensive production has been minimal this season, so he won't be missed in the fantasy realm. Derek Grant will continue filling in as the fourth-line center. News: Kesler (hip) is considered questionable for Tuesday's game against the Predators, Eric Stephens of The Athletic reports. Impact: Stephens believes Kesler is probably closer to doubtful than questionable ahead of Tuesday's contest, but either way, official word on the veteran pivot's status likely won't surface until the Ducks take the ice for pregame warmups. If he's able to go, Kesler will likely slot into a bottom-six role against Nashville. News: Kesler (hip) did not take part in warmups and will not play Sunday versus the Kings, Elliott Teaford of The Orange County Register reports. Impact: Kesler will miss his second straight game with a hip injury, and the team has yet to provide a timeline for his return. The veteran forward had hip surgery back in the 2017 offseason, so this latest setback could be connected, though nothing has been confirmed on that front. Look for the Ducks to provide more details around Kesler's status in the coming days. News: Rakell scored in the third period of Friday's 8-2 win over the Canadiens. Impact: We can take his goal-scoring stick off the side of the milk carton, because it's been found, as the forward has goals in consecutive games. Rakell has four points in his last four games, and the tally gave him 30 points (11 goals, 19 assists) in 56 games this season. It's below what's become expected of him, but the streak he's on may make him a good DFS play for Sunday's game versus the Kings. News: Grant (upper body) delivered an assist over 14:41 of ice time in an 8-2 win over the Canadiens on Friday. Impact: Grant also fired three shots on goal in the contest while skating to a plus-2 rating. He missed three games with the injury. With only four goals and seven assists in 43 games split between the Penguins and Ducks this season, Grant is safe to avoid in fantasy circles. News: Shore (lower body) scored on the power play and added an assist in Friday's 8-2 shellacking of the Canadiens. Impact: Shore missed two contests with the injury, but no one would know the difference based on his output. He added a pair of hits in the game. Shore is at 25 points this season, with three goals and five assists coming in 21 games since he was traded from the Stars. If he can produce as he did Friday, he should have no trouble hitting 30 points for the third consecutive campaign. News: Henrique led the scoring charge with two tallies in an 8-2 win over the Canadiens on Friday. Impact: Henrique showed instant chemistry with young winger Troy Terry, who scored a goal and two assists in the contest. Henrique added four shots and a plus-3 rating in the productive outing. The center has 16 goals and 36 points in 69 games this season, as well as 109 shots. He's well on his way to eclipsing the 40-point mark for the sixth straight year. News: Grant (upper body) will play in Friday's game versus the Canadiens. Impact: Grant was just wearing a non-contact jersey Tuesday but he's already healthy enough to get back into the lineup. The 27-year-old's return is timed well since Ryan Kesler (hip) won't be able to play in this outing. Grant's fantasy prospects are still low, as he has just 10 points in 42 games this season. News: Shore (lower body) will play in Friday's game versus the Canadiens. Impact: Shore missed the last two games, and it's a good thing he's ready to go since center Ryan Kesler (hip) won't be playing. Shore is expected to center the third line, and he'll look to get his offense rolling after posting just three points over the last 12 games. News: Kesler has a hip injury and won't play in Friday's game versus the Canadiens. Impact: Kesler had hip surgery during the 2017 summer and his game hasn't been the same since. It's unclear if the procedure is related to his current condition, but it's not a good sign for the 34-year-old pivot. He'll be replaced in the bottom six by Devin Shore. News: The Ducks assigned Steel to AHL San Diego on Friday. Impact: Steel will head back to bus league with winger Kevin Roy, signalling that Devin Shore (lower body) is likely ready for action. The 21-year-old posted an assist and three shots on goal in two games during this recall. 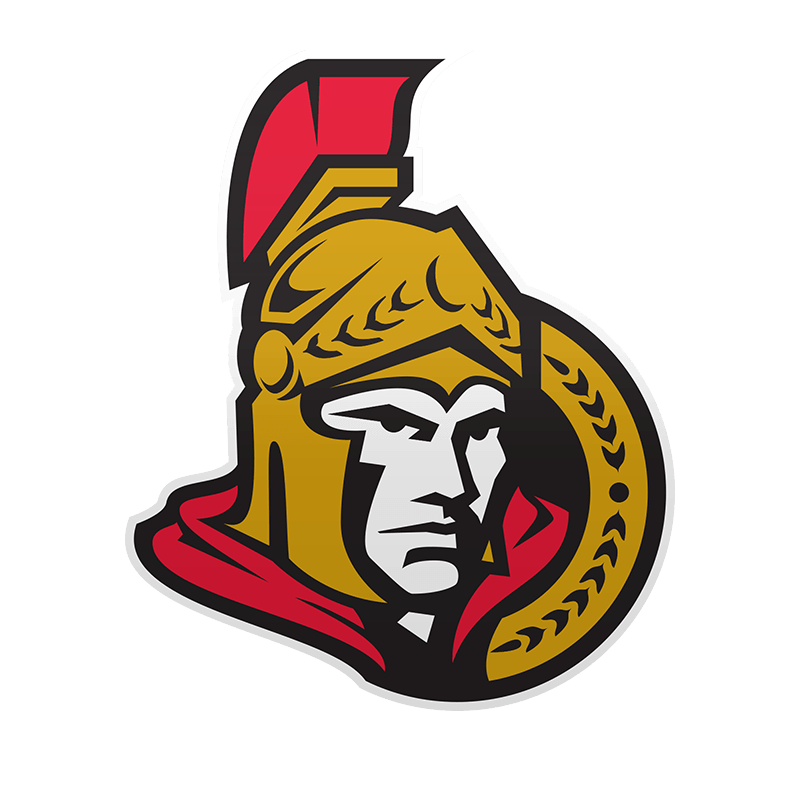 News: Updating a previous note, Shore (lower body) will actually sit out Wednesday against the Blues, Eric Stephens of The Athletic reports. Impact: Shore was apparently on the ice for warmups, which is a good sign, but he will ultimately miss his second straight contest. Stephens mentioned that he didn't see Sam Steel on the ice for warmups, but clarified that he was indeed out there and will draw in again for Shore. News: Shore (lower body) is on the ice for warmups and is slated to draw in Wednesday against the Blues, Eric Stephens of The Athletic reports. Impact: Shore has recovered quickly from a scary looking knee-on-knee collision the Avalanche's Ian Cole and should take his place back as the team's second-line center. Sam Steel wasn't present, so he will presumably sit out and could be headed back to the minors. News: Rakell gathered one assist in a 3-1 win over the Coyotes on Tuesday. Impact: Rakell now has assists in consecutive games, but his goal drought stretched to 14 contests. It appeared he had scored an empty-net goal in this contest before Coyotes head coach Rick Tocchet successfully challenged that center Adam Henrique was offside on the play. Rakell has 28 points in 54 games, a significant drop from the 69 points he accumulated last season. News: Kesler registered four hits and two PIM in a 3-1 win over the Coyotes on Tuesday. Impact: Kesler's 1,000th game went by without him registering a point, but he did make an impact in his own way. He's up to 92 hits and 42 PIM in 59 games this year, but with only eight points, he is only a shell of his former self on offense. News: Henrique scored his 13th goal of the season in a 3-1 win over the Coyotes on Tuesday. Impact: The goal snaps a six-game point drought for the center. He has provided some fantasy value with 14 hits in the last seven games. Henrique has 33 points in 67 games this season, making him one of the few Ducks worth a look in fantasy. News: Grant (upper body) was still sporting a non-contact jersey at Tuesday's game-day skate, Elliott Teaford of The Orange County Register reports. Impact: The news effectively rules Grant out for Tuesday's matchup with Arizona, considered he hasn't been cleared for contact. With Devin Shore (lower body) also unavailable, the Ducks will be forced to turn to recently call-up Sam Steel to fill out the lineup versus the Yotes. News: Shore (lower body) is dealing with a charley horse and hyperextended knee, which has rendered him unavailable for Tuesday's game against the Coyotes, Eric Stephens of The Athletic reports. Impact: Shore underwent an MRI on Monday that came back clean, save for the aforementioned (minor) issues. The Ducks have called up rookie Sam Steel from AHL San Diego as a reinforcement for Tuesday's contest. News: Steel was promoted from AHL San Diego on Tuesday, TSN reports. Impact: Steel figures to get ample playing time down the stretch since the Ducks are well out of playoff contention. In the near term, he's the direct replacement option with Derek Grant (upper body) and Devin Shore (lower body) being slowed by their respective injuries ahead of Tuesday night's road game against the Coyotes. News: Getzlaf (upper body injury) was held scoreless in his first game back Sunday against the Avs. Impact: On the bright side, Getzlaf made it through unscathed, logging 21:43 on 25 shifts, putting three shots on goal while logging four hits. News: Shore (lower body) will get an MRI on Monday after leaving Sunday's game against the Avalanche, Eric Stephens of The Athletic reports. Impact: Shore got drilled by Ian Cole, resulting in the Avalanche blueliner earning a game misconduct. It appeared that the 24-year-old injured his knee in the process, but the MRI should determine the extent of his injury. News: Getzlaf (upper body) will play Sunday against the Avalanche, Elliott Teaford of The Orange County Register reports. Impact: Getzlaf has missed the last five games with this injury. The Saskatchewan native was able to skate on his own starting Tuesday, and appears to have recovered enough to play Sunday. Getzlaf had three points (all assists) and five blocked shots in two games before sustaining the upper-body injury. The 33-year-old is also averaging 19:53 of ice time and 2:46 of power-play ice time this season. News: Grant (upper body) will not suit up in Sunday's home contest against Colorado, Elliott Teaford of The Orange County Register reports. Impact: It's unclear when Grant sustained the injury, but it's severe enough to force him to miss time. The 28-year-old hasn't been a great fantasy asset, however, scoring just 10 points in 42 games this campaign. Recent call-up Kevin Roy will slot into the lineup in Grant's absence. News: Getzlaf (upper body) won't play Friday against Vegas, Eric Stephens of The Athletic reports. Impact: Getzlaf will miss a fifth straight game Friday, and although he's been skating on his own since Tuesday, he still hasn't returned to practice with his teammates, so he should probably be considered questionable at best for Sunday's matchup with Colorado. Another update on the veteran pivot's status will undoubtedly surface prior to puck drop Sunday afternoon. News: Steel was returned to AHL San Diego on Thursday, Elliott Teaford of The Orange County Register reports. Impact: Anaheim has plugged its 2016 first-round (30th overall) pick into the lineup for 14 games this season, with Steel tacking on a goal and two power-play helpers over that span. The 21-year-old heading back to the AHL suggests that captain Ryan Getzlaf (upper body) will be ready to rock against the Golden Knights on Friday, but check back for official confirmation on that item. News: Kesler posted an assist in Wednesday's 4-3 loss to the Blackhawks. Impact: Kesler also had two shots on goal and two blocked shots while leading Ducks forwards by skating 18:16 in the contest. Kesler has adapted to a bottom-six role this season, with only eight points and a minus-18 rating in the campaign. News: Shore potted a shorthanded goal in a 4-3 loss to the Blackhawks on Wednesday. Impact: While the Ducks were killing a major penalty assessed to Rickard Rakell for boarding, Shore got on his horse and beat Crawford to even the score at 1. Shore has six points and a minus-10 rating in 18 games since he was traded from the Dallas Stars. He has seen his ice time increase by 2:54 per game since the trade, but his production has dipped slightly. Shore remains a borderline option in deep formats. News: Rakell was given 15 PIM in a 4-3 loss to the Blackhawks on Wednesday. Impact: In the first minute of the second period, Rakell boarded Drake Caggiula, which warranted the ejection. Rakell's bad February (one goal and one helper in 13 games) may end on an even worse note, as he could be up for supplemental discipline for the hit. News: Anaheim recalled Steel from AHL San Diego on an emergency basis Wednesday, Eric Stephens of The Athletic reports. Impact: Ryan Getzlaf (upper body) will miss a fourth straight game Wednesday, so Steel will be on hand to round out the Ducks' depth up front against the Blackhawks. The 2016 first-round pick has racked up 32 points in 43 AHL appearances this campaign. News: Getzlaf (upper body) will not suit up in Wednesday's home game against the Blackhawks. Impact: According to General Manager Bob Murray, Getzlaf was able to skate Tuesday, but isn't ready to return to game action. Daniel Sprong will likely continue to center the Ducks' top line with Getzlaf sidelined. When the 33-year-old returns, he'll likely assume his usual role on the first line and on the first power-play unit. News: Steel was sent down to AHL San Diego on Monday, Eric Stephens of The Athletic reports. Impact: Steel appeared in one game with the Ducks after his most recent call-up but now finds himself returning to the bus league. In 14 NHL games this season, the 21-year-old center has mustered just three points. News: Getzlaf (upper body) won't play Monday against the Canucks, Eric Stephens of The Athletic reports. Impact: This will be the third game in a row Getzlaf misses due to the injury. Daniel Sprong appears primed to skate on Anaheim's top like alongside Rickard Rakell and Corey Perry with Getzlaf out. The 33-year-old's next chance to return will be Wednesday at home versus the Blackhawks. News: Getzlaf (upper body) won't play Saturday against the Oilers, Eric Stephens of The Athletic reports. Impact: Getzlaf's injury isn't believed to be overly serious, but he'll have to wait for Monday's matchup with Vancouver for his next opportunity to return to the lineup. With Getzlaf on the shelf, the recently recalled Sam Steel will draw into the lineup against Edmonton. News: Steel was recalled from AHL San Diego on Saturday. Impact: Steel has been lighting up the AHL in 2018-19, racking up 32 points in 43 games in what is his first season of professional hockey. The 21-year-old began the year with the Ducks, posting three points back in October. Steel could draw into the lineup Saturday with Ryan Getzlaf (upper body) no sure thing to play. News: Gibbons was reassigned to AHL San Diego on Saturday. Impact: The 30-year-old failed to record a point in the team's last game and has only managed a pair of goals and three assists in 44 NHL games this season. Gibbons will now report to Anaheim's AHL affiliate and regardless of where he plays, the veteran does not belong on anyone's fantasy radar. News: Grant netted his fourth goal of the season in Friday's 2-1 loss to the Flames. Impact: Grant has picked up the pace with a goal and two assists in his last five games. He still has only nine points in 38 games between the Penguins and Ducks this season. Grant added four blocked shots to bring his total to 19 in that category this year. It's safe to avoid the 28-year-old in most formats. News: Gibbons will play in Friday's game versus the Flames, Elliott Teaford of The Orange County Register reports. Impact: Gibbons was waived by the Ducks a week ago, but he cleared and will now slot into the lineup since Ryan Getzlaf (upper body) is out. He has just five points in 43 outings, so fantasy owners shouldn't expect production out of the 30-year-old skater. News: Getzlaf has an upper-body injury and won't play in Friday's game versus the Flames, Elliott Teaford of The Orange County Register reports. Impact: Getzlaf was starting to heat up with five assists in the last five games. His absence will allow Brian Gibbons to enter the lineup, and Rickard Rakell will shift to center to replace Getzlaf on the top line. News: Rakell has 28 shots in his last 11 games. Impact: Over that span, the versatile forward has just a goal and assist to show for the effort. The owner of back-to-back 30-goal seasons, it appears Rakell will likely fall far short of that mark this season. Between the Ducks' league-worst offense (2.2 goals per game) and his 7.5 percent dip in shooting percentage year over year, it's been a campaign to forget for the Swede. News: Kesler potted his fifth goal of the season on four shots in a 4-0 win over the Wild on Tuesday. Impact: Kesler had the middle of the three goals in the Ducks' third-period outburst. The center has seen a reduced role this season, recording only seven points in 52 games while skating 1:15 less per game than last year. With such meager production, he should not be considered viable in fantasy. News: Getzlaf had a pair of assists on the power in Sunday's 5-2 win over the Capitals. Impact: Getzlaf played a supporting role in the Ducks' three-goal third period. Getzlaf is up to 38 points in 53 games this season, which puts him on pace for his worst campaign since 2011-12. He retains value through physical play, as his three blocks Sunday give him 117 for the season. News: Henrique scored twice, once on the power play, and added an assist in a 5-2 win over the Capitals on Sunday. Impact: Henrique snapped out of a cold stretch in a big way, tallying four shots on goal in addition to the three points (he had just a goal and an assist in his prior 10 appearances). Henrique now has 31 points in 59 games. News: Gibbons was placed on waivers by the Ducks on Friday, James Mirtle of The Athletic reports. Impact: Gibbons served as a healthy scratch in three of Anaheim's previous seven outings and is averaging a mere 9:04 of ice time when he does suit up. By making the move to send the 30-year-old down to the minors, where he will likely head if he clears, the club could be paving the way to see how some of its young talents perform at the NHL level in what is quickly turning into a lost season. News: Grant notched an assist and recorded a plus-1 rating over 15:18 of ice time Wednesday versus the Canucks. Impact: Grant received his highest ice time total since Jan. 20 versus the Islanders and took advantage of the added minutes, adding a shot on goal, two hits and a blocked shot to his ledger. The 28-year-old pivot owns just two points in his nine games with the Ducks and hadn't tallied one since Jan. 19 versus the Devils. While he was hardly a staple in fantasy lineups during his time with the Penguins, Grant's value could be even lower on an Anaheim squad that struggles to find the back of the net. News: Shore assisted on the only goal in Wednesday's 1-0 win against Vancouver. Impact: Since joining Anaheim from Dallas on Jan. 14, Shore now has a goal and three assists over 11 contests. Shore can't be counted upon as a consistent point producer at this point, but he plays solid minutes -- 16:31 per game -- and is part of the team's second power-play unit, so he'll have his chances. News: Getzlaf registered four hits and four blocked shots in a 1-0 win over the Canucks on Wednesday. Impact: Getzlaf also fought with Canucks defenseman Erik Gudbranson and added a minor roughing penalty for seven PIM in total. The center has had a down year with 36 points in in 51 games, but also has 111 hits and 59 blocks in the campaign. News: Getzlaf picked up two power-play assists in Saturday's 6-2 loss to the Flyers. Impact: The veteran center's production has sagged along with the Ducks' fortunes, but Getzlaf has managed to piece together two goals and seven points over his last 12 games. He's still on pace to fall short of 60 points over a full season for the first time since 2011-12, and he'll need a big finish to make up that lost ground. News: Getzlaf scored his team's lone goal in a 4-1 loss to Montreal on Tuesday. Impact: Finishing Tuesday's loss with a minus-2 rating, Getzlaf is now a team-worst minus-17 on the season. It was just Getzlaf's third goal since Dec. 17, and he now has 34 points in 48 games. News: Kesler logged just 13:05 of ice time in his first game back from injury against Toronto on Monday. Impact: Kesler notched three hits, one shot and one block following a five-game stint in the press box. The center is bogged down in a 19-game pointless streak and hasn't tickled the twine since Nov. 6. With just six points on the year, the Michigan native could miss the 20-point mark for just the fourth time in his career. News: Kesler (lower body) will be back in action versus the Maple Leafs on Monday, Elliott Teaford of The Orange County Register reports. Impact: Kesler was struggling prior to his five-game stint on injured reserve, as he was pointless in his previous 18 outings and hadn't found the back of the net since Nov. 6 versus Los Angeles. If the center can get his season back on track, he could help get the Ducks back into contention for a playoff spot. News: Morand picked up a hat trick and added three assists in QMJHL Halifax's 7-5 win over Victoriaville on Thursday. Impact: It was a much needed strong effort from a player who is in the midst of arguably his worst junior season. While Morand is still averaging more than a point per game (51 points in 46 games) this year for Halifax, he hasn't taken the significant step forward that Anaheim had been hoping for when the season began. Morand is undersized (5-foot-11, 185 pounds) and of little use if he isn't producing offensively. It's a near certainty that Morand will require an extended apprenticeship in the AHL beginning this fall. 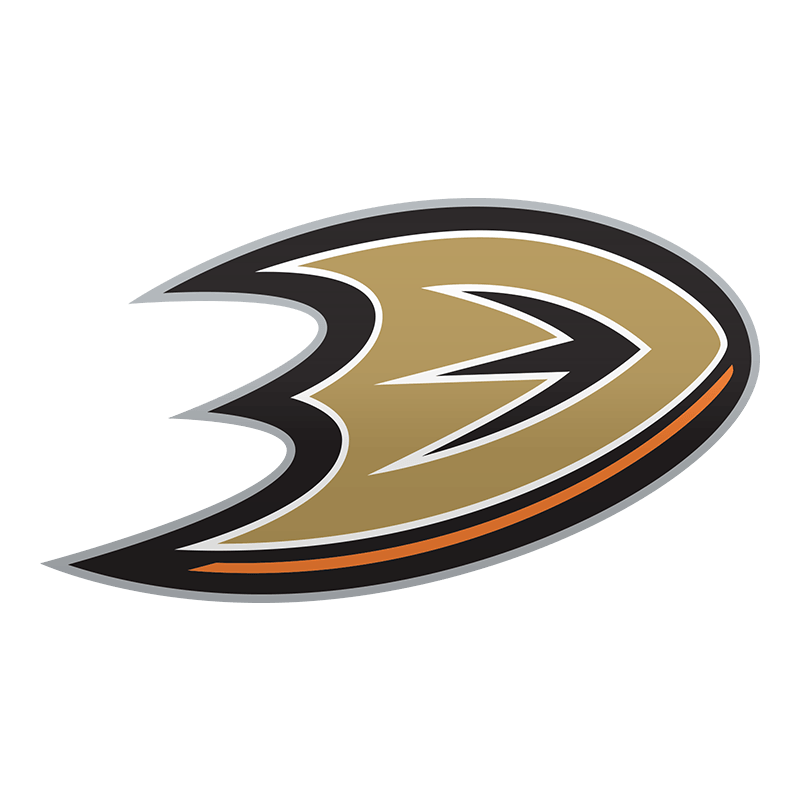 News: Kesler (lower body) skated on his own prior to Thursday's practice, Elliott Teaford of The Orange County Register reports. Impact: Kesler's presence on the ice Thursday suggests he's making progress in his recovery from a lower-body injury, but he'll need to return to practice as a full participant before receiving clearance for game action. The 34-year-old pivot should be considered out indefinitely until he's given the green light to take part in an on-ice session with his teammates. News: Gibbons produced two goals on six shots through nine games this month. Impact: Gibbons, who also added a helper over that span, continues to serve in a bottom-six capacity. He racked up 26 points (12 goals, 14 assists) to complement a plus-10 rating with the Devils last season, and few hockey pundits could have foreseen Gibbons averaging about four fewer minutes per game with Anaheim. But that's the reality of the situation, despite the fourth-year pivot playing for a club that's been ravaged by injuries up front. News: Carrick was sent down to AHL San Diego on Thursday. Impact: Carrick has scored 20 goals and managed 38 points in 33 games with AHL San Diego this season. The demotion allows him to keep playing through the break, with games Friday and Saturday. If Anaheim plans to recall Carrick after the All-Star festivities wrap up, the announcement will come well before its next game (Feb. 2 at Winnipeg). News: Carrick was recalled from AHL San Diego on Wednesday. Impact: Carrick has a chance to draw into Wednesday's home game against the Blues since the Ducks currently have six forwards on injured reserve. Plus, there's no guarantee that Adam Cracknell will make his season debut at the top level. A 26-year-old center, Carrick has posted two points over 23 NHL games between the Maple Leafs and Ducks. It's unlikely that he'll receive enough ice time to warrant fantasy consideration. News: Getzlaf has a goal, three points and a minus-19 rating over his last 14 games. Impact: When a team loses 12 straight contests, player stats are usually going to be impacted negatively, but this is especially brutal for someone of Getzlaf's caliber. With just 32 points on the season, the 6-foot-4 center is in danger of missing the 60-point mark for the first time since the 2012-13 lockout-shortened campaign. Despite a role on the Ducks' top power-play unit, Getzlaf has just five points with the man advantage. News: Carrick was reassigned to AHL San Diego on Monday. Impact: Carrick logged 14:03 of ice time in his only contest. The 26-year-old returns to AHL San Diego, where he's enjoyed a stellar campaign with 37 points in 32 games.